CIA director John Brennan considers creating a new cyber directorate in Langley. 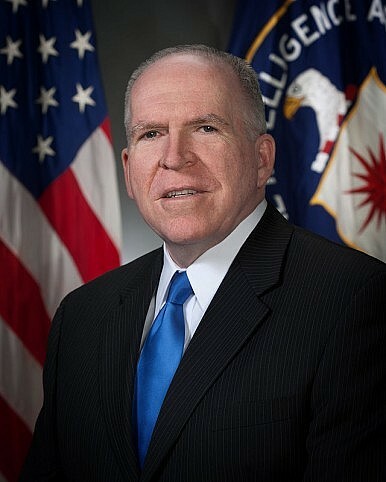 The Washington Post reports that CIA director, John Brennan, is considering a major expansion of the CIA’s cyber espionage capabilities. Unnamed official sources claim that the director and his team are even considering creating a new cyber directorate and making it a separate pillar next to the traditional analysis and operations branches. “Brennan is trying to update the agency to make sure it is prepared to tackle the challenges in front of it. I just don’t think you can separate the digital world people operate in from the human intelligence,” an official familiar with the re-organization notes. This is yet another sign that cyberspace is increasingly moving to the center of American national security deliberations. The White House also recently announced that it will create a new office, the Cyber Threat Intelligence Integration Center, which will be part of the Office of the Director of National Intelligence. The fiscal year 2016 budget request by President Barack Obama asked for $16 billion in overall expenditure for cybersecurity; the Pentagon spends around $5 billion on cyber defense and its cyber arsenal per year. John Brennan’s envisions a more modern organizational structure for the United States’ preeminent intelligence agency in which “hybrid centers” – multidisciplinary teams consisting of experts from the various CIA stovepipes – can more easily collaborate with each other. In an email last year, the CIA director noted that he has become,“increasingly convinced that the time has come to take a fresh look at how we are organized.” The model for these new hybrid centers is the CIA’s Counterterrorism Center. The CIA already has substantial resources at it disposal to navigate and monitor cyberspace such as the Information Operations Center, one of the largest sections within the organization and responsible for dealing with threats to U.S. computer systems, and the Open Source Center, a unit created to collect open source data online including from social media networks. Some critics argue that the CIA’s plan is trying to capitalize on the Obama administration’s recent push to ramp up the United States’ cyber defenses in order not to lose standalone capabilities and in order to be able to exercise direct control over cyber components in CIA operations. Yet, given the ever increasing importance of digital technology, John Brennan’s push just reflects the changing nature of the spy business in the 21st century. “Advances in digital technology are having a revolutionary impact on the intelligence business, and it’s important for CIA to adapt its collection and covert action missions to account for the new opportunities and dangers,” underlines a former CIA official. Chinese Hacking Against Taiwan: A Blessing for the United States?Former CIA Officer Arrested for Retaining Classified Information, Suspected of Revealing China-Based CIA AssetsThe CIA's Newly Released Osama Bin Laden Files and the Iran AngleChina and Ausgrid: Are Australia's National Security Concerns Justified? Are Chinese Cyberattacks Against US Targets in Decline?